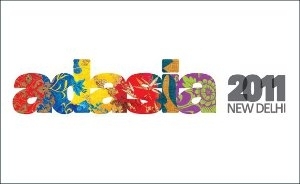 AdAsia 2011: Is India's brand image still limited in global perception? Airtel's association with F1 gave the telecom product global exposure. Similarly, to build a strong global image for itself, India has to create an environment wherein the country's individual brands can flourish. Today, India is no longer identified with snake charmers, or considered a land of just spices and curries. The country is now moving beyond its boundaries, and is more often than not, being projected as a global brand to the outside world. But, does this identification still pose a certain limitation to the country's overall brand image, and is its global image still limited in perception when compared to its other counterparts worldwide? 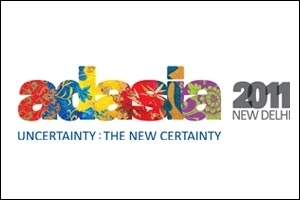 This was the primary question to which the session titled India 2020, set out to seek an answer on the first day of AdAsia 2011, held in New Delhi at the Taj Palace hotel. The session was moderated by professor and global strategist Pankaj Ghemawat, while the panelists included Kurush Grant, executive director, ITC, Sanjay Kapoor, chief executive officer, Bharti Airtel, India and South Asia, and Ravi Swaminathan, managing director, and regional vice-president (sales and marketing), AMD South Asia. Grant noted that like all successful brands, India as a brand, too, should stand for being a great product in itself. Also, the country and its people have to understand what India symbolises. "Brand India has to identify its core product identity and we have to start looking at what we want to stand for individually -- sectorwise. Also, the basic core of the country's brand product that has been identified has to be sustainable enough in order to make further progress. It just cannot be superficial," he said. Citing the example of Airtel associating with F1 that gave the telecom product global exposure, Kapoor suggested that in order to build a strong global image for itself, India has to create an environment wherein the country's individual brands (read companies and their products) can flourish. "Take for instance, the US market. It is slowly losing its shine as a global brand, and yet its domestic products such as Facebook and Apple are doing very well. Now, take China, it's a global brand to reckon with. But, how many domestically built brands from the country can you actually recall?" asked Kapoor. According to him, the debate today has shifted from developing just physical infrastructure to creating an infrastructure that is both physical, as well as virtual. "India also has to adapt to the contemporary youth and keep pace with them if it wants to turn into a truly global brand," he said. He explained that about 500 million Indian people currently, represent youth below the age of 25, while 65 per cent represents those below the age of 30. And by 2020, the average age of this country will be 28 years. "Therefore, innovation, conceptualisation and adaptation of Indian companies, keeping the youth in mind, is what will bring India the global brand acceptance," Kapoor said. Swaminathan, however, had a different opinion altogether. He said that the last thing that India had to worry about was to become a brand. He suggested that India and Indian companies should continue to go its current way, and join forces with the global supply chain. "Also, the ability of technology that will allow us to create micro markets needs to be tapped," he concluded.